In my two-part column titled “12 Popular Misusages in Nigerian English” (published on April 13, 2014 and on July 20, 2014) I identified “South-south” as the 11th most popular error in Nigerian English. 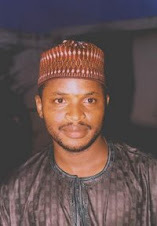 Shortly after publishing the article, a number of my readers advised that I give exclusive attention to the expression given its prominence in Nigeria’s contemporary political lexicon and the fact that it may be conferred permanence and false prestige in a new Nigerian constitution that members of the ongoing national conference may write. They argued that listing it among 12 other errors might lead it to be missed by those who should see it. I am persuaded by the reasoning of my readers. That’s why I have decided to expand on what I wrote about the phrase. However, I am under no illusion that my writing about it will cause the Nigerian political class to abandon it, especially given the legendary anti-intellectualism of Nigeria’s leaders. Plus, the expression seems to have already been firmly entrenched in the everyday mental lexicon of ordinary Nigerians. Nonetheless, for whatever it’s worth, I think there is merit in putting it on record that the Nigerian geo-political designation “South-South” offends several usage conventions in English and deserves to be thrown into a verbal garbage. While it is perfectly permissible to invent newfangled expressions that push the lexical and semantic boundaries of the English language (that is what, after all, makes the English language such an exciting and progressive language), we should draw the line where pointless lexical experimentations have the potential to impair mutual intelligibility in international communication. “South-South” is one superfluous neologism that the Nigerian political elite—and the Nigerian news media that parrot them uncritically—will do well to cast away. The expression makes no cartographic sense, isn’t part of the institutionalized cardinal or ordinal directional nomenclature, violates established naming conventions, and competes against a similar expression whose meaning has been rigidified in the vernacular of international relations for ages, as I will show shortly. Plus, it’s needlessly repetitive and, frankly, unimaginative. In any event, if it makes sense for Nigeria’s political elite to call a geographic sphere in the country the “South-South,” why are states in Nigeria’s extreme north (Sokoto, Zamfara, Katsina, Jigawa, Yobe, and Borno) not also designated as the “North-North”? For that matter, why don’t they have “east-east” or “west-west”? The term “South-South” was invented by Nigeria’s Second Republic Vice President Dr. Alex Ekeweme during the 1994-1995 National Constitution Conference. He used it to refer to Nigeria’s Deep South. Nigerian newspaper journalists unquestioningly accepted and popularized it. The term isn’t strictly a geographic category because “Southeastern” states like Imo and Abia are actually deeper down south than “South-South” states like Edo and northern Cross River. 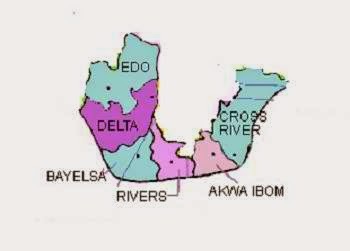 “South-South” is therefore no more than a clumsy attempt to create a geo-cultural and political space— and identity—for ethnic minorities in the former Eastern Region, except that Edo and Delta states were never part of the Eastern Region; they were initially in the Western Region before a Mid-Western region was created for them. So the “South-South” was invented to encapsulate all people in Nigeria’s South who don’t self-identify as either Igbo or Yoruba. “South-South” is now fossilized in the political lexicon of Nigerian English, and is used both as a noun (as in: “I come from the South-South”) and as an adjective (as in: “South-South governors met yesterday”). But that is a nonstandard, peculiarly Nigerian usage. Here is why. In the English language there are four cardinal directions (north, south, east, and west), four ordinal directions (northeast, southeast, southwest, and northwest), and eight secondary inter-cardinal directions, (also called quadrantal points), which are hardly ever used. 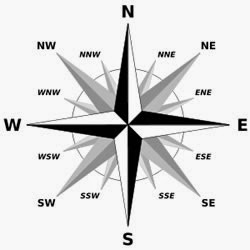 They are north-northeast, east-northeast, east-southeast, south-southeast, south-southwest, west-southwest, west-northwest, and north-northwest. North-central and south-central are also commonly used directional terminologies, especially in the United States, even though they are not part of the cardinal, ordinal, or secondary inter-cardinal directions. There is no directional name called “South-South” in the English language. Nigeria is the first and only country in the English-speaking world to invent and use it as a directional denomination. But the problem with the Nigerian usage of “South-South” isn’t merely that English speakers from other parts of the world don’t recognize it as a directional point; it is also that the phrase is already a standard attributive phrase in international politics to refer to the friendly relations between Third World countries. It regularly appears in expressions like “South-South Cooperation,” “South-South learning,” “South-South migration,” “South-South development,” “South-South collaboration,” “South-South trade,” etc. (I can bet that many averagely educated Nigerians come across these phrases on the Internet and mistake them for the oddly named geo-cultural region in their country). Since 1978, the “Unit for South–South Cooperation” has been a well-established part of the bureaucracy of the United Nations. That means when people outside Nigeria hear or read the phrase “South-South,” the first— and only— thing that comes to their mind is: cooperation between developing countries. So while the average Nigerian sees “South-South” and immediately thinks of his or her country’s Deep South, non-Nigerians think of friendly relations between developing nations when they see the same phrase. That’s what I mean when I said the Nigerian English usage of “South-South” impedes mutual intelligibility in international communication. Lexical inventiveness is justified only when it fills a void. There is no linguistic void that the Nigerian usage of the term “South-South” fills. When you add this fact to the reality that “South-South” already has a nearly 40-year history as a term that means the friendly relations between countries in the global south, you know the Nigerian “South-South” isn’t worth keeping. It belongs in the lexical wastebasket. If I were to advise Nigerian policy makers who want to institutionalize the six geo-political zones in the country, I would encourage them to change “South-South” to “South-Central” just for the sake of consistency. In any case, although “South-Central” isn’t an ordinal, cardinal or secondary inter-cardinal direction, it is well-established in directional nomenclature in the United States and elsewhere. Plus, it’s actually a fairly accurate label for Nigeria’s Deep South. (Compare the map of America’s South Central states with the location of Nigeria’s so-called South-South states on Nigeria’s map. The similarities are striking). Another option is to simply call the region the “South.” In order to avoid confusion and to ensure consistency, the “South-west” and the “South-east” should simply be called the “West” and the “East.” In any case, what is now the “South-west” used to be called the Western Region, and what we now know as the “South-east” used to be called the Eastern Region before state creation in 1967. Prefixing “south” to “west” and “east” isn’t necessary since the South was never ruled as one administrative entity except during the early part of British colonial rule. The three regions in the north can retain their current names since, historically, they formed part of the defunct Northern Region. So Nigeria’s six regions will be Northwest, Northeast, North-central, South, West, and East. I would prefer anything to “South-South,” but I also know people who can change this nonsensical label don’t care and probably won’t even read this.